A native of Tuscaloosa, Alabama, Dr. Louisa Berman received her degree from the University of Alabama with a Bachelor of Science Degree and her Doctorate in Dental Medicine from the University of Alabama at Birmingham School of Dentistry. After winning a cosmetic award in prosthetics while earning her Doctorate, her area of clinical skill and love for cosmetics was realized. She wanted to gain further skills in cosmetics, removable prosthetics and implants. Dr. Berman was accepted into a Prosthodontists program at UAB School of Dentistry (of which only 3 students a year are accepted). She finished her advanced training in prosthodontics in 2001 and moved to Atlanta to practice her specialty. A Prosthodontics is a dental specialist in the restoration and replacement of teeth who have completed dental school plus three additional years of advanced training and education in an ADA accredited prosthodontic graduate program. Prosthodontists provide an extremely high level of care to patients with missing teeth, or having significant damage to their existing teeth. Prosthodontists are trained in state of the art techniques and procedures for treating many diverse and complex dental conditions and restoring optimum function and esthetics. These include: crowns, bridges, veneers, complete and removable partial dentures, dental implant prosthetics, TMD, jaw joint problems, traumatic injuries to the mouth's structure and teeth, snoring, and continuing care of general dentistry as well. Dr. Berman is a sustaining member of the American Academy of Cosmetic Dentistry, the American College of Prosthodontists, the Academy of General Dentistry, the American Dental Association, and the Northern District of the Georgia Dental Association. She also is a member of the Hinman Dental Society, Alpha Omega Dental Fraternity, and the American Association of Women Dentists. Dr. Berman taught at the UAB School of Dentistry in both clinical and didactic aspects in the fixed prosthodontics department. She has also lectured to local study clubs in Atlanta, as well as presenting nationally at American Academy of Cosmetic Dentistry’s Annual meetings. 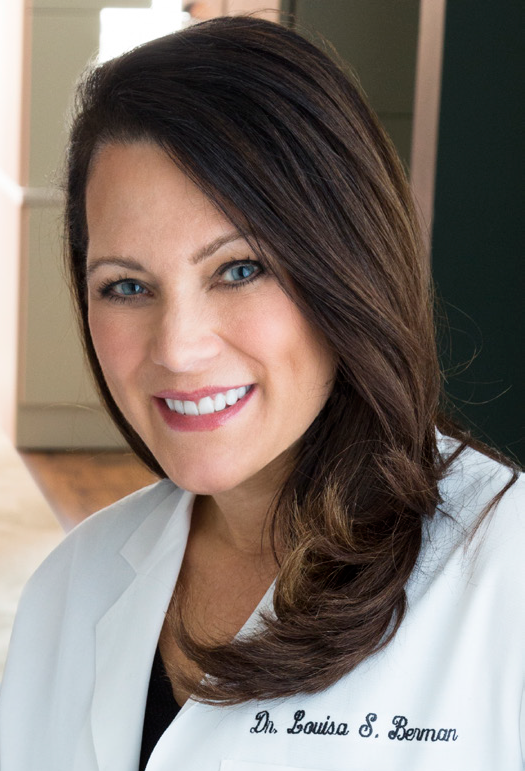 She is the past president of the Georgia Academy of Cosmetic Dentistry; an affiliate of the American Academy of Cosmetic Dentistry and was recently inducted as a Fellow in to the Pierre Fauchard Academy. Dr. Berman volunteers as a Girl Scout Troop leader, with the Junior League of Atlanta, and with the Give Back A Smile charity program. In her free time, Dr. Berman loves attending Alabama football games and spending time with her husband, Tristan and their two children; Adelyn and Bennett. 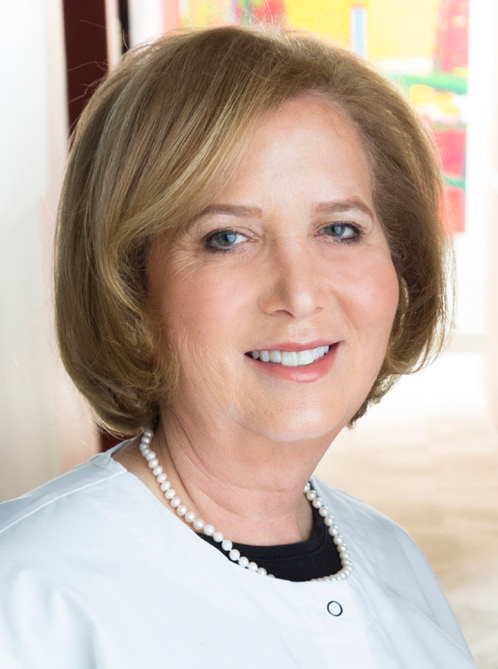 After attending Emory University and receiving a Bachelor of Arts in English, Dr. Carol Wolff attended and graduated with a Doctorate in Dentistry from Emory University in 1985. Dr. Wolff is a general dentist focused in restorative, cosmetic, preventative, and sedation dentistry. Dr. Wolff is a member of the American Dental Association, the Georgia Dental Society, the Hinman Dental Society, American College of Facial Aesthetics, a Fellow in the Pierre Fauchard Dental Academy, the Academy of General Dentistry, and the Northern District Dental Association. Dr. Wolff is a past President of the Northern District Dental Association and was recently chosen as Dentist of the Year. In her free time Dr. Wolff enjoys hiking, reading, vegetarian cooking, spending time with her husband, family, and two dogs. Doctors of Oral Conscious Sedation and certified by the Georgia Board of Dentistry to administer Oral Conscious Sedation.